What’s better than getting a burrito bowl at Chipotle? 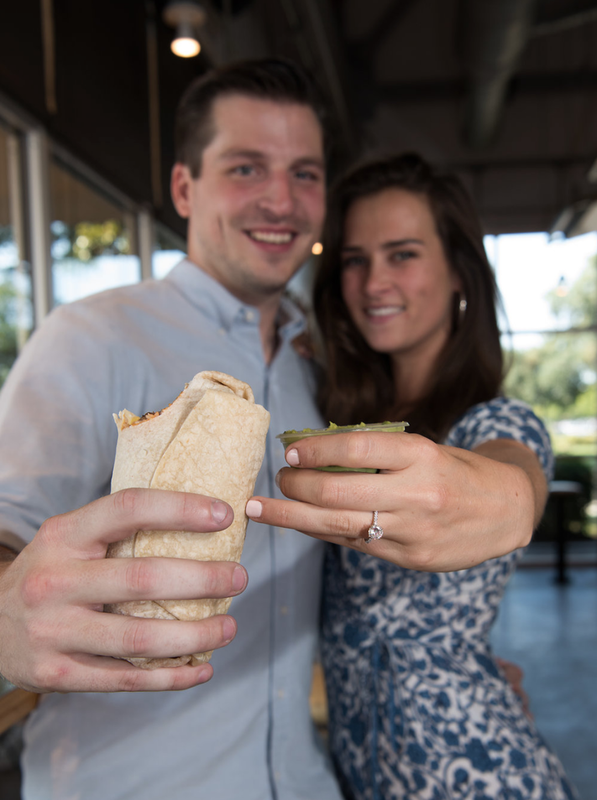 Perhaps getting a burrito bowl and an engagement ring at the fast-casual chain. 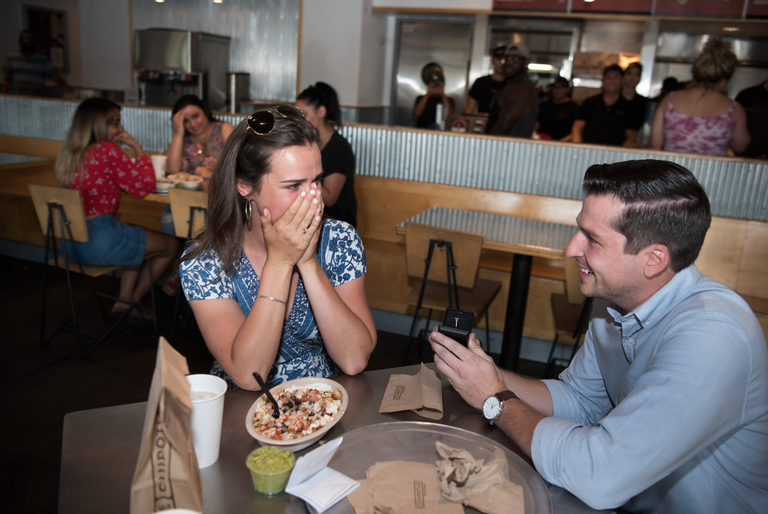 That’s what Sacramento local Natalie Neach got on July 21 when her longtime boyfriend, Chris Piwinski, surprised her with a proposal. So, when it came time to pop the question, he ultimately decided this spot was special. Piwinski told the publication that he bought a ring back in January, but spent months trying to decide the best way to go about it. 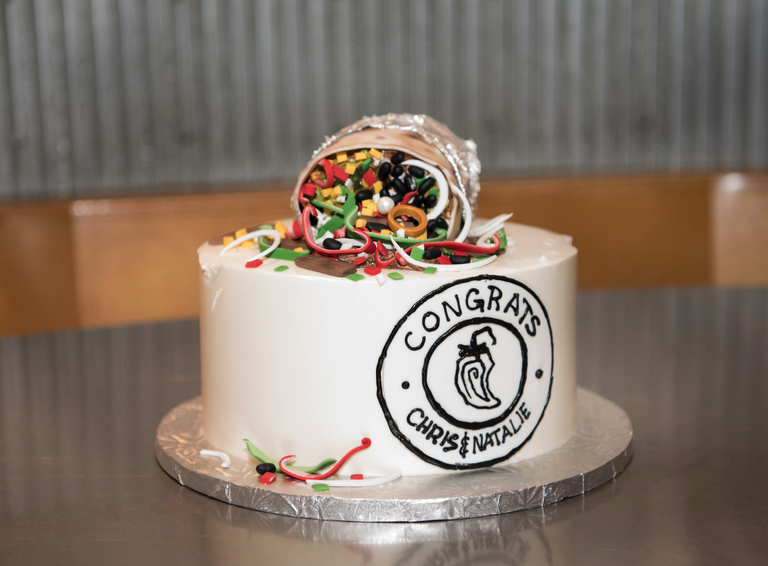 Finally, in May, he contacted the chain’s public relations team to set up the surprise, which came complete with balloons and a cake with a fondant burrito on top. 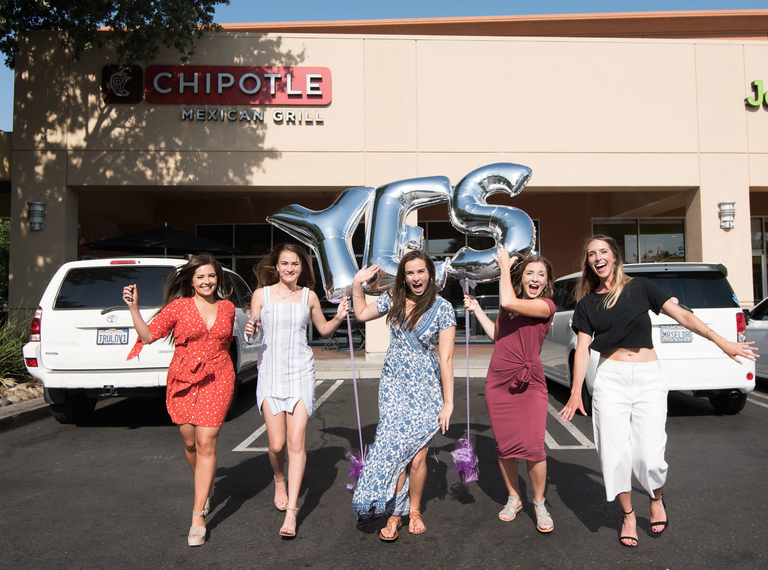 On the day of the proposal, Piwinski took Neach to many of their favorite places, including their local coffee shop and the wineries in Clarksburg, CA, before ending the day with a dinner date. Little did Neach know, the excited employees were in on the plan. After ordering their food, the couple sat a secretly reserved table and Ed Sheeran’s “Kiss Me” began to play. After reading the poem, Piwinski got down on one knee and brought out the ring. She said yes. The final surprise was that family and friends had been looking in from a nearby pizza joint. They joined the couple afterwards for a catered party to celebrate the engagement. “I was not suspecting it at all,” Neach said. Forget the guac. This is extra. Photos by True Love Photo. © BridalPulse 2017, BrideClick, Inc. All rights reserved.